ΣΥΝΤΡΟΦΕ ΔΡΑΓΑΣΑΚΗ ΑΣΕ ΑΥΤΑ ΠΟΥ ΞΕΡΕΙΣ ΚΑΙ ΒΓΑΛΕ ΣΤΗ ΔΗΜΟΣΙΟΤΗΤΑ ΤΗΝ ΣΥΜΒΑΣΗ ΣΟΥ ΜΕ ΤΗΝ ATTICA BANK ΤΩΡΑ ! Ανάμεσα στους τρεις εκπροσώπους του Ελληνικού Δημοσίου, στο παντοδύναμο εποπτικό συμβούλιο του υπερταμείου περιλαβάνεται και ο Γιώργος Τάβλας. Τα μέσα ενημέρωσης τoν παρουσιάζουν ως στέλεχος της ΤτE. Στην πραγματικότητα είναι ο πραγματικός διοικητής της ΤτΕ μιας και εργάζεται σε αυτή 20 χρόνια σε επιτελικά πόστα. Ήταν το δεξί χέρι του Παπαδήμου, από το 2002 έως το 2008 και αναπληρωτής του στην ΕΚΤ το διάστημα αυτό. Είναι αμφίβολο αν μιλά τα ελληνικά, τουλάχιστον σε επίπεδο Τσακαλώτου, μιας και δεν έχει εμφανιστεί ποτέ δημόσια να μιλήσει στα ελληνικά. Γεννήθηκε στις ΗΠΑ εργάστηκε 8 χρόνια στο υπουργείο Εξωτερικών των ΗΠΑ, εννιά χρόνια στο ΔΝΤ και τα τελευταία 20 χρόνια στην ΤτΕ. Έχει δημοσιεύσει τέσσερεις εργασίες σε συνεργασία με τη σκωτσέζα σύζυγο του Τσακαλώτου και στέλεχος της ΤτΕ, την κ. Heather D. Gibson. Ο Τσίπρας με το φιλαράκι του τον Τσακαλώτο, οφείλουν να εμφανίσουν τον Τάβλα στην Βουλή, και να του ζητήσουν να διαβάσει μία σελίδα στα ελληνικά για να δούμε αν θα τα καταφέρει. Το πλήρες βιογραφικό του Τάβλα βρίσκεται στο link στο Linkedin. 2006 Babson College Carpenter Prize (awarded biennially to a Babson graduate). Establishment of the George Tavlas Scholarship. Alternate to the Governor of the Bank of Greece, Governing Council of the European Central Bank (since 2008). Consultant, Organization for Economic Co‑operation and Development. Visiting Scholar, Duke University, Fall Semester, 2015. Visiting Scholar, Hoover Institution, Stanford University, May 2015. Visiting Scholar, Becker-Friedman Institute, University of Chicago, April 2015. Visiting Scholar, Becker-Friedman Institute, University of Chicago, November 2013. Distinguished Visiting Scholar, Drexel University, LeBow College of Business, 2011-2012. Visiting Research Fellow, South African Reserve Bank, August-September 2007. Adviser, World Bank, November 2003 – March 2004. Member, General Council, Bank of Greece, since July 2013. Member, Monetary Operations Committee (Eurosystem), since 2008. Alternate Member, Economic and Financial Committee (European Union), November 2000-May 2002. Member, European Union Ad Hoc Committee on IMF Issues, November 2000-May 2002. Alternate Member, Monetary Committee (European Union), November 1996-August 1999. April 1992 ‑ May 1992; March 1994 – April 1994. Member, Board of Directors, Center for Economic and Policy Research (KEPE), Athens, Greece, March 1998 – March 2004. Vice Chairman of the Board, Center for Economic and Policy Research (KEPE), March 2002 – March 2004. Editor-in-Chief, Open Economies Review, beginning in 2005. Board of Editors, Open Economies Review, 1997 – 2004. Associate Editor, Economic Modelling, 2003 – 2015. The Society for Economic Measurement, Council Member, since 2013. Board of Editors, Journal of Economic Studies, beginning in 2015. Board of Editors, Journal of Economic Asymmetries, beginning in 2010. Board of Directors, International Journal of Central Banking, since 2005. Management Committee, International Journal of Central Banking, 2005-2008. Associate Editor, Greek Economic Review, 1991 ‑ 2000. Co‑Editor, Journal of Policy Modeling, 1990 ‑ 92. Board of Editors, Journal of Policy Modeling, 1983 – 96. How the Euro-Area Sovereign-Debt Crisis Led to a Collapse in Bank Equity Prices (with H.D. Gibson and S.G. Hall), Journal of Financial Stability, forthcoming. On the Interpretation of Instrumental Variables in the Presence of Specification Errors (with P.A.V.B. Swamy and S.G. Hall), Econometrics, 2015, vol. 3, pp. 55-64. In Old Chicago: Simons, Friedman and the Development of Monetary Policy Rules, Becker Friedman Institute Working Paper, January 2014; Journal of Money, Credit and Banking, 2015, vol. 47, pp. 99-121. Two Applications of the Random Coefficient Procedure: Correcting for Misspecifications in a Small Area Level Model and Resolving Simpson’s Paradox (with P.A.V.B. Swamy, J.S. Mehta and S.G. Hall), Economic Modelling, 2015, vol. 45, pp. 93–98. Time Varying Coefficient Models; A Proposal for Selecting the Coefficient Driver Sets (with S. G. Hall, and P.A.V.B. Swamy), Macroeconomic Dynamics, 2015, forthcoming. A Note on Generalizing the Concept of Cointegration (with S. G. Hall, and P.A.V.B. Swamy), Macroeconomic Dynamics, 2015, forthcoming. Are All Sovereigns Equal? A Test of the Common Determination of Sovereign Spreads in the Euro Area (with H. Gibson, and S. G. Hall), Empirical Economics, 2015, forthcoming. Microproduction Functions with Unique Coefficients and Errors: A Reconsideration and Respesification (with S.G. Hall and P.A.V.B. Swamy), Macroeconomic Dynamics, 2015, forthcoming. The Crisis in the Euro Area: An Analytic Overview (with H. Gibson, and T. Palivos), Journal of Macroeconomics, 2014, vol. 38, pp. 233-39. Fundamentally Wrong: Market Pricing of Sovereigns and the Greek Financial Crisis (with H. Gibson, and S. G. Hall), Journal of Macroeconomics, 2014, vol. 38, pp. 405-19. Exchange Rate Regimes and Asset Prices (with H. Dellas), invited paper, 30th Anniversary Conference of the Journal of International Money and Finance, Fordham University, October 2012; Journal of International Money and Finance, November 2013, vol. 38, pp. 85-94. The Gold Standard, the Euro and the Origins of the Greek Sovereign Debt Crisis (with H. Dellas), invited paper, Cato Institute’s 30th Annual Monetary Conference, Washington D.C., November 15, 2012. Published in the Cato Journal, Fall 2013, vol. 33, no. 3, pp. 491-520. Is the Relationship Between Prices and Exchange Rates Homogenous? (with S. G. Hall, G. Hondroyiannis, A. Kenjegaliev, and P.A.V.B. Swamy), Journal of International Money and Finance, October 2013, vol. 37, pp. 411-36. Measuring Currency Pressures: The Cases of the Japanese Yen, the Chinese Yuan, and the UK Pound (with S. G. Hall, A. Kenjegaliev and P.A.V.B. Swamy), Journal of Japanese and International Economies, September 2013, vol. 29, pp. 1–20. The Forward Rate Premium Puzzle: A Case of Misspecification? (with S. Hall, A. Kenjegaliev, and P.A.V.B. Swamy), Studies in Nonlinear Dynamics and Econometrics, April 2013, vol. 17, pp. 265–79. The Debate about the Revived Bretton-Woods Regime: A Survey and Extension of the Literature (with S. G. Hall), Journal of Economic Surveys, April 2013, vol. 27, pp. 340-63. Milton Friedman, the Demand for Money, and the ECB’s Monetary Policy Strategy (with S.G. Hall and P.A.V.B. Swamy), Federal Reserve Bank of St. Louis Review, May/June 2012, 94, pp. 153-85. The Greek Financial Crisis: Growing Imbalances and Sovereign Spreads (with H. Gibson and S. G. Hall), Journal of International Money and Finance, April 2012, vol. 31, pp. 498-516. Generalized Cointegration: A New Concept with an Application to Health Expenditure and Heath Outcomes (with S. G. Hall and P.A.V.B. Swamy), Empirical Economics, April 2012, vol. 42. pp. 603-18. In the Neighbourhood: The Trade Effects of the Euro in a Spatial Framework (with H. Kelejian and P. Petroulas), Regional Science and Urban Economics, January 2012, vol. 42, pp. 314-12. The Revived Bretton-Woods System, Liquidity Creation, and Commodity Price-Bubbles (with H. Dellas), invited paper, Cato Institute’s 28th Annual Conference, Washington D.C., November 2010; published in the Cato Journal, Fall 2011, vol. 31, pp. 485-95. Two Who Called the Great Depression: An Initial Formulation of the Monetary Origins View, Journal of Money, Credit and Banking, March–April 2011, vol. 43, pp. 565-74. Bretton Woods Systems Old and New (with S.G. Hall, G. Hondroyiannis, and P.A.V.B. Swamy) The Manchester School, March 2011, vol. 79, pp. 293-317. Exchange-Rate Volatility and Export Performance: Do Emerging Market Economies Resemble Industrial Countries or Other Developing Countries? (with G. Hondroyiannis, P.A.V.B. Swamy, and M. Ulan), Economic Modelling, November 2010, vol. 27, pp. 1514-21. Introduction to the Contributions of P.A.V.B. Swamy (with S.G. Hall, L.R. Klein, and A. Zellner), Economic Modelling, November 2010, vol. 27, pp. 1338-44. Estimation of Parameters in the Presence of Model Misspecification and Measurement Error (with S.G. Hall, G. Hondroyiannis, and P.A.V.B. Swamy), Studies in Nonlinear Dynamics and Econometrics, vol. 14, May 2010. An Optimum-Currency-Area Odyssey (with H. Dellas), Journal of International Money and Finance, November 2009, vol. 28, pp. 1117-37. The New Keynesian Phillips Curve and Lagged Inflation: A Case of Spurious Correlation? (with S. G. Hall, G. Hondroyiannis and P.A.V.B. Swamy), Southern Economic Journal, October 2009, vol. 76, pp. 467-481. Spatial Aspects of Contagion Among Emerging Economies (with G. Hondroyiannis and H. Kelejian), Spatial Economic Analysis, vol. 4, pp. 191-211. Assessing the Causal Relationship Between Euro-Area Money and Prices: A Time-Varying-Coefficient Interpretation (with S. G. Hall, G. Hondroyiannis, and P.A.V.B. Swamy), Economic Modelling, vol. 26, pp.760-66. The New Keynesian Phillips Curve in a Time-Varying Coefficient Environment: Some European Evidence (with G. Hondroyiannis and P.A.V.B. Swamy), Macroeconomic Dynamics, April 2009, vol. 13, pp. 149-66. Inflation Dynamics in the Euro-Area and in New EU Members (with S.G. Hall, G. Hondroyiannis, and P.A.V.B. Swamy), Economic Modelling, November 2008, pp. 1116-27. Some Further Evidence on Exchange-Rate Volatility and Exports (with G. Hondroyiannis, P.A.V.B. Swamy, and M. Ulan), Review of World Economics (Weltwietschaftliches Archiv), April 2008, pp. 151-180. The New Keynesian Phillips Curve and Inflation Expectations: Re-specification and Interpretation (with P.A.V.B. Swamy), Economic Theory, May 2007, pp. 293-306. Methods of Distinguishing Between Spurious Regression and Causation (with P.A.V.B. Swamy and J.S. Mehta), Journal of Statistical Theory and Applications, 2007, no. 1, pp. 83-96. Money as Numeraire: Doctrinal Aspects and Contemporary Revlevance (with J. Aschheim), Banca Nazionale del Lavoro Quarterly Review, December 2006, pp. 333-62. A Spatial Modeling Approach to Contagion (with G. Hondroyiannis and H. Kelejian), Open Economies Review, December 2006, pp. 423-47. A Note on Muth’s Rational Expectations Hypothesis: A Time-Varying-Coefficient Interpretation (with P.A.V.B. Swamy), Macroeconomic Dynamics, June 2006, pp. 415-25. Wage Rigidity and Monetary Union (with H. Dellas), Economic Journal, October 2005, pp. 907-927. Theoretical Conditions Under Which Monetary Policies are Effective and Practical Obstacles to Their Verification (with P.A.V.B. Swamy), Economic Theory, June 2005, pp. 999-1005. Mixed Exchange Rate Systems (with H. Dellas), Journal of International Money and Finance, March 2005, pp. 243-256. How Stable are Monetary Policy Rules: Estimating the Time-Varying Coefficients in a Monetary Policy Reaction Function for the US (with I. Chang and P.A.V.B. Swamy), Computational Statistics and Data Analysis, April 2005, pp. 575-590. On the Road Again: The Optimal Path to EMU for the New Member States (with E. Hochreiter), Journal of Policy Modeling, July, 2004, pp. 793-816. The Consequences of Monetary Unification, Invited Paper, Cato Institute’s/ The Economist’s 21st Annual Monetary Conference, Washington, November 2003. Published in The Cato Journal, Spring/Summer, 2004, pp. 89-106. Academic Exclusion and the Development of Contemporary Political Economy and Monetary Theory: The Case of Del Mar (with J. Aschheim), European Journal of Political Economy, March, 2004, pp. 31-60. Empirical Modelling of Money Demand in Periods of Structural Change: The Case of Greece (with S. Brissimis, G. Hondroyiannis and P.A.V.B. Swamy), Oxford Bulletin of Economics and Statistics, December 2003, pp. 605-28. Correcting for Omitted-Variables and Measurement-error Bias in Autoregressive Model Estimation with Panel Data (with P.A.V.B. Swamy, I. Chang, and J.S. 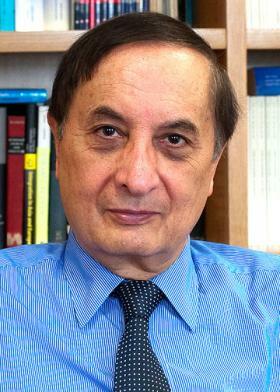 Mehta), Computational Economics, October-December 2003, pp. 225-53. The Economics of Exchange Rate Regimes: A Review Essay, The World Economy, August 2003, pp. 1215-46. An Evaluation of Earnings’ Differences between Large and Small Commercial Banks (with P.A.V.B. Swamy and T. Lutton), Journal of Productivity Analysis, July 2003, pp. 97-114. The Collapse of Exchange Rate Pegs” (with Harris Dellas and P.A.V.B. Swamy), The Annals of the American Academy of Political and Social Science, January 2002, pp. 53-72. The Long-Run Demand for Money in the United Kingdom: A Random Coefficient Analysis (with G. Hondroyiannis and P.A.V.B. Swamy), Economic Modelling, August 2001, pp. 475-501. Lessons of the Euro for Dollarization: Analytic and Political Economy Perspectives (with H. Dellas), Journal of Policy Modeling, April 2001, pp. 333-345. Reprinted in The Dollarisation Debate, edited by J. Dean, D. Salvatore, and T. Willett (Oxford University Press, 2003). The Time-Varying Performance of the Long-Run Demand for Money in the United States (with G. Hondroyannis and P.A.V.B. Swamy), Economic Inquiry, January 2001, pp. 111-123. A Computational Approach to Finding Causal Economic Laws (with I. Chang, P.A.V.B. Swamy, and C. Hollahan), Computational Economics, October 2000, pp. 105-136. On The Exchange Rate as a Nominal Anchor: The Rise and Fall of the Credibility Hypothesis, The Economic Record, June 2000, pp. 183-201. Is the Japanese Economy in a Liquidity Trap? (with G. Hondroyiannis and P.A.V.B Swamy), Economics Letters, January 2000, pp. 17-23. On Testing the Liquidity Trap Hypothesis (with P.A.V.B. Swamy, B. Zhang, and G. Hondroyannis), Greek Economic Review, Autumn 1999, pp. 23-44. Was the Monetarist Tradition Invented? Journal of Economic Perspectives, Fall 1998, pp. 211-22. Reprinted in Keynes, Chicago and Friedman, edited by R. Leeson (Edward Elgar, 2003). Two Types of Target Zone Proposals: McKinnon and Ohno versus Williamson (with J. Aschheim), Weltwirtschafliches Archiv, 1998, Heft 3, pp. 548-57. A Generalized Framework for Predicting Returns in Multicurrency Investments (with C. Christou and P.A.V.B. Swamy), Journal of Economic Dynamics and Control, July 1998, pp. 977-1000. The International Use of Currencies: The U.S. Dollar and the Euro, Finance and Development, June 1998, pp. 46-49. Reprinted in International Economics and International Economic Policy: A Reader, edited by P. King (Irwin, McGraw Hill, 2000), pp. 325-30. Chicago, Harvard, and the Doctrinal Foundations of Monetary Economics, Journal of Political Economy, February 1997, pp. 153-77. Reprinted in Keynes, Chicago and Friedman, edited by R. Leeson (Edward Elgar, 2003). How Should Diversifiable and Nondiversifiable Risks be Defined? (with T. Lutton and P.A.V.B. Swamy), Journal of Economics and Finance, Fall 1997, pp. 11-18. The International Use of the U.S. Dollar: An Optimum Currency Area Perspective, The World Economy, 10, September 1997, pp. 709-48. On the Assumptions Used to Identify Structural-Form Coefficients in terms of Reduced-Form Coefficients (with J.S. Mehta and P.A.V.B. Swamy), Journal of Applied Statistical Science, 1997, pp. 247-58. A Random Coefficient Model of Speculative Attacks (with J. Aschheim, C. Christou, and P.A.V.B. Swamy), Open Economies Review, 1996, pp. 556 -76. Modelling Optimal Strategies for the Allocation of Wealth in Multi-currency Investments (with C. Christou and P.A.V.B. Swamy), International Journal of Forecasting, December 1996, pp. 483-94. Monetary Economics in Doctrinal Perspective: A Review Essay (with J. Aschheim), Journal of Money, Credit, and Banking, August 1996, pp 406-17. Random Coefficient Estimation (with P. A. V. B. Swamy), Journal of Economic Surveys, June 1995, pp 165-96. Nominal Anchors for Monetary Policy: A Doctrinal Analysis (with J. Aschheim), Banca Nazionale del Lavoro Quarterly Review, December 1994, pp. 469-94. Connections Between GARCH and Stochastic Coefficients (SC) Models (with P.A.V.B. Swamy) Economics Letters, September 1994, pp. 7-10. The Theory of Monetary Integration, Open Economies Review, April 1994, pp. 211-30. The `New’ Theory of Optimum Currency Areas, The World Economy, November 1993, pp. 663‑85. Reprinted in International Economic Integration, edited by M. Jovanonic (Routledge: London, 1997). Reprinted in The Political Economy of Monetary Union, edited by P. De Grauwe (Edward Elgar, 2001). The Theory of Optimum Currency Areas Revisited, Finance and Development, June 1993, pp. 32‑35. The Internationalization of Currencies: An Appraisal of the Japanese Yen (with Y. Ozeki), IMF Occasional Paper, No. 90, January 1992. Is it Possible to Find an Econometric Law that Works Well in Explanation and Prediction? The Case of Australian Money Demand (with P.A.V.B. Swamy), Journal of Forecasting, February 1992, pp. 17‑33. Doctrinal Foundations of Monetary Economics: A Review Essay (with J. Aschheim), Journal of Monetary Economics, December 1991, pp. 501‑510. Some Problems with Identification in Parametric Models and Their Solutions (with P.A.V.B. Swamy, J.S. Mehta, and P. von zur Muehlen), Greek Economic Review, December 1991, pp. 287‑312. Exchange Rate Variability and Direct Investment, (with M. J. Bailey) Annals of the American Academy of Political and Social Sciences, July 1991, pp. 106‑116. The Internationalization of the Yen (with Y. Ozeki), Finance and Development, June 1991, pp. 2‑5. On the International Use of Currencies: The Case of the Deutsche Mark, Essays in International Finance, (Princeton University, International Finance Section of the Department of Economics; No. 181, March 1991). Reprinted in Functioning of the International Monetary System, edited by J. Frenkel and M. Goldstein (International Monetary Fund: Washington, D.C., 1996), pp. 806-50. On Revolution and Counterrevolutions in Monetary Economics: Keynes, Keynesians and New Classicists (with J. Aschheim), Atlantic Economic Journal, December 1990, pp. 1‑13. International Currencies: The Rise of the Deutsche Mark, Finance and Development, September 1990, pp. 35‑38. Modeling the Demand for Money in the Large Industrial Countries: A Comparison of the Buffer‑Stock and Error‑Correction Approaches (with J. Boughton), Journal of Policy Modeling, Summer 1990, pp. 433-62. Modeling Buffer Stock Money: An Appraisal (with P.A.V.B. Swamy), Journal of Policy Modeling, Winter 1989, pp. 593‑612. Interpreting Keynes: Reflections on the Leijonhufvud‑Yeager Discussion, The Cato Journal, Spring/Summer 1989, pp. 237‑52. The Demand for Money in South Africa: A Test of the Buffer Stock Model, The South African Journal of Economics, March 1989, pp. 1‑13. Financial Reform, Monetary Policy, and the Demand for Money in Australia (with P.A.V.B. Swamy), IMF Staff Papers, March 1989, pp. 63‑101. Econometric Modeling of Partial Adjustment: The Cochrane‑Orcutt Procedure, Flaws and Remedies (with J. Aschheim), Economic Modeling, January 1988, pp. 1‑7. Inconsistency in Correcting for Serial Correlation in Money‑Demand Models (with Joseph Aschheim), Atlantic Economic Journal, December 1987, pp. 16‑21. Commodity Standard on Monetary Rule? Professor Hayek on Commodity Money, Economic Affairs, (Institute of Economic Affairs: London), August/September 1987, pp. 6‑12. Inflationary Finance and the Demand for Money in Greece, Kredit und Kapital, Heft 2, 1987, pp. 245‑257. The Impact of Exchange‑Rate Variability on Export Growth: Some Theoretical Considerations and Empirical Results (with M. J. Bailey and M. Ulan), Journal of Policy Modeling, Spring 1987, pp. 225‑244. Reprinted in Studies in Positive and Normative Economics, edited by M. J. Bailey (Edward Elgar: Brookfield, VT: 1992). Exchange Rate Variability and Trade Performance: Evidence for the Big Seven Industrial Countries (with M. J. Bailey and M. Ulan), Weltwirtschaftliches Archiv, Heft 3, 1986, pp. 466‑477. Reprinted in Boletin Economico de Informacion Commercial Espanola, November, 1987, pp. 4107‑4111. A Macroeconometric Model of Kenya” (with J. Elliott and S. Kwack) Economic Modeling, January, 1986, pp. 2‑31. Inflation and the Demand for Money in Israel (with M. J. Bailey) Economics Letters, 1985, Vol. 18, No. 4, pp. 339‑344. Reprinted in Studies in Positive and Normative Economics, edited by M. J. Bailey (Edward Elgar: Brookfield, VT: 1992). Alexander Del Mar, Irving Fisher and the Quantity Theory of Money (with J. Aschheim) The Canadian Journal of Economics, May, 1985, pp. 294‑313. Dollar Appreciation, Deficit Stimulation and the New Protectionism (with J. Aschheim and M. J. Bailey) Journal of Policy Modeling, February, 1985, pp. 107‑121. The Price Equation and Excess Demand: A Reappraisal, Applied Economics, December, 1984, pp. 935‑944. A Consideration of the Simultaneity Problem in Forecasting Inflation (with J. Aschheim) Atlantic Economic Journal, September, 1984, pp. 20‑29. The Monetary‑Ideology Nexus: Keynes versus Simons (with J. Aschheim), Banca Nazionale del Lavoro Quarterly Review, June, 1984, pp. 177‑196. Reprinted in J.M. Keynes: Second Series Critical Assessments, edited by J. Wood (Edward Elgar, 1997). Reprinted in Keynes, Chicago and Friedman, edited by R. Leeson (Edward Elgar, 2003). A Model of the Inflationary Process in Six Major O.E.C.D. Economies: Empirical Results and Policy Implications, Journal of Policy Modeling, February 1983, pp. 18‑35. Notes on Garvy, Snyder, and the Doctrinal Foundations of Monetarism, History of Political Economy, Spring 1982, pp. 89‑100. Keynesian and Monetarist Theories of the Monetary Transmission Process, Journal of Monetary Economics, May 1981, pp. 317‑37. Reprinted in Keynes, Chicago and Friedman, edited by R. Leeson (Edward Elgar, 2003). Keynes on Monetary Theory and Policy, Southern Economic Journal, April 1981, pp. 1137‑42. Reprinted in Keynes, Chicago and Friedman, edited by R. Leeson (Edward Elgar, 2003). The Chicago Monetary Growth‑Rate Rule: Friedman on Simons Reconsidered (with Joseph Aschheim), Banca Nazionale del Lavoro Quarterly Review, March 1981, pp. 75‑89. Reprinted in Twentieth Century Economists: Frank Knight, Henry Simons and Joseph Schumpeter, edited by M. Blaug (Edward Elgar, Brookfield VT, 1992). Interest Rate Policies and Inflation in Interdependent Economies: Recent Policy Dilemmas (with D.M. Leipziger, D. Choi, and V. Filatov), Journal of Policy Modeling, February 1981, pp. 1‑18. Economic Policy Effectiveness in Hicksian Analysis: An Extension, Kredit und Kapital, Heft 2, 1980, pp. 252‑62. Reprinted in Sir John Hicks: Critical Assessments, Vol. III, edited by J. Wood and R. Woods (Routledge: London, 1989), pp. 230‑39. A Note on Monetary Policy Effectiveness, The Correspondence Principle, and the Positively Sloped IS Curve, Economics Letters, Vol. 4, 1979, pp. 313‑317. On Monetarism and Ideology (with J. Aschheim), Banca Nazionale del Lavoro Quarterly Review, June 1979, pp. 167‑86. Reprinted in Moneta and Credito, June 1979, pp. 173‑92. Some Initial Formulations of the Monetary Growth‑Rate Rule, History of Political Economy, Winter 1977, pp. 535‑47. The Chicago Tradition Revisited: Some Neglected Monetary Contributions of Senator Paul Douglas, Journal of Money, Credit, and Banking, November 1977, pp. 529‑35. Reprinted in Keynes, Chicago and Friedman, edited by R. Leeson (Edward Elgar, 2003). “Chicago Schools Old and New on the Efficacy of Monetary Policy,” Banca Nazionale del Lavoro Quarterly Review, March 1977, pp. 51‑73. Reprinted in Keynes, Chicago and Friedman, edited by R. Leeson (Edward Elgar, 2003). Some Further Observations on the Monetary Economics of Chicagoans and Non‑Chicagoans, Southern Economic Journal, April 1976, pp. 685‑92. Reprinted in Keynes, Chicago and Friedman, edited by R. Leeson (Edward Elgar, 2003). Anna Jacobson Schwartz: In Memoriam, Cato Journal, Fall 2013, vol. 33, no. 3, pp. 321-332. Unit of Account or Medium of Exchange? Reply (with J. Aschheim), Banca Nazionale del Lavoro Quarterly Review, No. 41, June 2007. Central Bank Communications, invited note, American Journal of Economics and Sociology, November 2007, pp. 863-887. Alexander Del Mar (with J. Aschheim), Biographical Dictionary of American Economists, edited by R. Emmett (Thoemmes/Continuum, 2006), pp. 207-09. Monetary Union in Europe, Evidence for the HM Treasury’s Assessment of the Economic Consequences for the United Kingdom of Monetary Union, Submissions on EMU from Leading Academics, HM Treasury, 2003. The Chicago Monetarist Tradition: Reply, Journal of Economic Perspectives, Summer 1999, pp. 241-42. On the Analytics of Wicksell (with Joseph Aschheim), commissioned paper, American Journal of Economics and Sociology, July 1999, pp. 467-70.
Review of The Crawling Band as an Exchange Rate Regime: Lessons from Chile, Columbia and Israel (by J. Willamson), Economic Journal, November 1998, pp. 1895-98.
Review of Dollar and Yen : Resolving Economic Conflict Between the United States and Japan (by R. McKinnon and K. Ohno), Finance and Development, March 1998, p. 54. More on the Chicago Tradition, Journal of Economic Studies, No.1, 1998, pp. 17-21. Reprinted in Keynes, Chicago and Friedman, edited by R. Leeson (Edward Elgar, 2003). Internationalization of Currencies: The Case of the U.S. Dollar, article commissioned by The International Executive, Sept. / Oct. 1997, pp. 581-97. Currency Crises, Open Economies Review, 1996, Special Issue, pp. 431-36. Recasting the Theory of Optimum Currency Areas (with J. Aschheim), Development and International Cooperation, June-December 1995, pp 71-86. The Price Equation, Excess Demand, and Normal Cost Pricing: A Reply, Applied Economics, December 1988, pp. 1693‑1697. Alexander Del Mar (with J. Aschheim); “Warren Milton Persons”; “Carl Snyder”: Entries commissioned by The New Palgrave: A Dictionary of Economic Theory and Doctrine, edited by J. Eatwell, M. Milgate, and P. Newman (The Macmillan Press, 1987). Policy Aspects of Alternative Exchange Rate Regimes: Introduction, Journal of Policy Modeling, Spring 1987, pp. 1‑5. Review of J.C. Gilbert’s The Impact of Keynes on Monetary Economic, History of Political Economy, Winter, 1985, pp. 677‑680. Review of: The U.S. Economy in an Interdependent World (by G. Stevens et. al., Federal Reserve Board, 1984). Journal of Policy Modeling, November, 1984, pp. 587‑590. Economic Policy Effectiveness in Hicksian Analysis: A Reply, Kredit und Kapital, Heft 3, 1982, pp. 429‑33. Reprinted in Sir John Hicks: Critical Assessments, Vol. III, edited by J. Wood and R. Woods (Routledge: London, 1989), pp. 294‑97. The Last Remake of the New Economics and the Old Economists: Reply, Southern Economic Journal, January 1979, pp. 926‑31. Reprinted in Keynes, Chicago and Friedman, edited by R. Leeson (Edward Elgar, 2003). The Monetary Policy of Henry Simons, American Economist, Fall 1976, pp. 79‑82. Friedman, Chicago, and Monetary Rules (with H. Dellas) In Milton Friedman: Contributions to Economics and Public Policy, edited by Robert A. Cord and J. Daniel Hammond, (Oxford University Press) forthcoming 2015. Small Area Estimation with Correctly Specified Linking Models (with P. A. V. B. Swamy, J. S. Mehta, and S. G. Hall), Recent Advances in Estimating Nonlinear Models, edited by Jun Ma and Mark Wohar, (Springer) 2014, pp. 193-228. Money (with J. Aschheim) In Encyclopedia of Keynesian Economics, 2nd edition, edited by T. Cate, (Edward Elgar Publishing), January 2013. Two Roads to the Euro: The Monetary Experiences of Austria and Greece (with E. Hochreiter), IMF Conference on Euro Adoption in the Accession Countries: Opportunities and Challenges, Prague. Published in Euro Adoption in Central and Eastern Europe: Opportunities and Challenges, edited by S. Schadler (International Monetary Fund, 2005) pp. 182-201. The Treatment of Nonstationarity in Empirical Models: A Case Study of Greek Money-Demand (with S. Brissimis, G. Hondroyiannis, and P.A.V.B. Swamy) in Essays in Economic Analysis for the 45th Foundation Anniversary of KEPE, edited by T. Lianos, (Papazisis, 2004 ) pp. 227-257. Economic Growth in Greece: Past Performance and Future Prospects: Comment (with N. Zonzilos), in Greece’s Economic Performance and Prospects, edited by R. Bryant and N. Garganas, (Bank of Greece and Brookings Institution, 2001) pp. 202-210. Issues in the Transmission of Monetary Policy (with S. Brissimis, N. Magginas, and G. Simigiannis), in Greece’s Economic Performance and Prospects, edited by R. Bryant and N. Garganas, (Bank of Greece and Brookings Institution, 2001) pp. 237-271. Introduction (with R. Bryant and N. Garganas), in Greece’s Economic Performance and Prospects, edited by R. Bryant and N. Garganas, (Bank of Greece and Brookings Institution, 2001) pp. 1-42. Random Coefficient Models (with P.A.V.B. Swamy), A Companion to Theoretical Econometrics, edited by B. Baltagi: (Basil Blackwell, 2001). Money (with J. Aschheim). In Encyclopedia of Keynesian Economics, edited by T. Cate, D. Colander, and G. Harcourt (Edward Elgar, 1997), pp. 444-49. Macroeconomic Policies and World Financial Integration (with P.A.V.B. Swamy.) In Macroeconomic Policies in Open Economies, edited by M. Fratianni, J. von Hagen, and D. Salvatore (North Holland, 1997), pp. 248-88. Currency Substitution and the International Demand for Yen, in The Macroeconomics of International Currencies: Theory, Policy, Evidence, edited by P. Mizen and E. Pentacost (Edward Elgar, Cheltenham, UK, 1996), pp. 178 92. The Deutsche Mark as an International Currency, in International Finance: Contemporary Issues edited by D. Das (Routledge, London, 1993), pp. 566‑79. The Relation Between Exchange Rate Variability and Protectionism (with Joseph Aschheim and M. Ulan in Protectionism and World Welfare, edited by D. Salvatore (Cambridge University Press, Cambridge, U.K. 1993), pp. 290‑308. Vehicle Currencies, The New Palgrave Dictionary of Money and Finance, edited by P. Newman, M. Milgate, and J. Eatwell (Macmillan, London, 1992, pp. 754‑757). Modelling African Development Prospects (with S. Kwack and D. Salvatore) in Policy Adjustment in Africa, edited by C. Milner and A.J. Rayner (Macmillan, London, 1992), pp. 31‑60. Macroeconomic Policies in Africa (with J. Aschheim and J. Elliott), in D. Salvatore (editor), African Development Prospects: A Policy Modeling Approach (Taylor and Francis on the behalf of the United Nations: New York, 1989), pp. 192‑202. Dynamic Policy Simulations of African Macroeconomic Models (with S. Kwack and D. Salvatore), in D. Salvatore (editor), African Development Prospects: A Policy Modeling Approach (Taylor and Francis Publishers on the behalf of the United Nations: New York, 1989), pp. 163‑186. Trade and Investment under Floating Exchange Rates: The U.S. Experience (with M. J. Bailey), invited paper for the Cato Institute’s Sixth Annual Monetary Conference ‑‑ Dollars, Deficits, and Trade: The Changing World Economy, February 25‑26, 1988. Published in The Cato Journal, Fall, 1988, pp. 421‑442. Reprinted in Dollars, Deficits and Trade, edited by J. Dorn and W. Niskanen (Kluwer Academic Publishers: Boston, 1989), pp. 207‑228. Dollar Variability, the New Protectionism, Trade and Financial Performance (with J. Aschheim and M. J. Bailey), in D. Salvatore (editor), The New Protectionist Threat to World Welfare (North Holland, 1987), pp. 425‑444. Policy Simulations with a Macroeconometric Model of a Developing Country (with J. Elliott and S. Kwack), in J. Mudge (editor), The AID Economists Conference: Papers and Proceedings (Pragma Publishing Co., 1985). Guest Editor (with H. Gibson, and T. Palivos): The Crisis in the Euro Area. Special Issue of the Journal of Macroeconomics, March 2014. Guest Editor (with S. G. Hall, L. R. Klein, and A. Zellner): Essays in Honors of P.A.V.B Swamy. Special Issue of Economic Modelling. 2011. Guest Editor (with E. Hochreiter): Regional and International Currency Arrangements. Special Issue of International Economic Policy. 2006. Co-editor (with R. Bryant and N. Garganas), Greece’s Economic Performance and Prospects, Bank of Greece and Brookings Institution, Athens, 2001. Guest Editor: Currency Crises: Causes, Consequences and Policy Responses, Special Issue of Open Economies Review, 1996. Also published in book form as: The Collapse of Exchange Rate Regimes: Causes, Consequences and Policy Responses (Kluwer Academic Publishers, 1997). Guest Editor (with A. Courakis): Financial and Monetary Integration, Special Issue of Greek Economic Review, No. 2 1993. Guest Editor: Policy Aspects of Alternative Exchange Rate Regimes. Special Issue of Journal of Policy Modelling, Spring 1987. Theory Meets Reality: What Have We Learned About Monetary Integration in the Light of the Euro Crisis? Adjustment and Credibility (with W. M. Corden), March 2015. Theory Meets Reality: What Have We Learned About Monetary Integration in the Light of the Euro Crisis? Finance and the Crisis (with W. M. Corden), March 2015. Doom-loops: The Role of Rating Agencies in the Euro Financial Crisis (with H. Gibson, and S.G. Hall), July 2014. A New Method of Measuring Treatment Effects on the Treated without Randomization (with W.H. Greene, S.G. Hall, R. Sickles, and P.A.V.B. Swamy), draft, February 2014. A Method for Correcting Specification Errors in Discrete Choice Models (with W.H. Greene, S.G. Hall, and P.A.V.B. Swamy), draft, February 2014. The Development of Chicago Monetary Economics from the 1930s to the 1960s and Friedman, book project for the University of Chicago Press, delivery for summer 2015. The Determination of Spreads Under the Gold Standard (with H. Kelejian and P. Mukerji). How Friedman and Schwartz became Monetarists (with J. Lothian). Forecasting Time Series: A Review, commissioned paper for Econometric Reviews. What Monetary Policy Can Do, Invited Paper, Cato Institute’s Annual Monetary Conference, November 2015.